We are late in the morning, someone busy making cake. After finish breakfast at OldTown we left KL and arrived Melaka at 12.35pm, then we have our first food – cendol. Today is wesak day, every temple is crowded and quite a lot people coming down to Melaka especially the Singaporean. 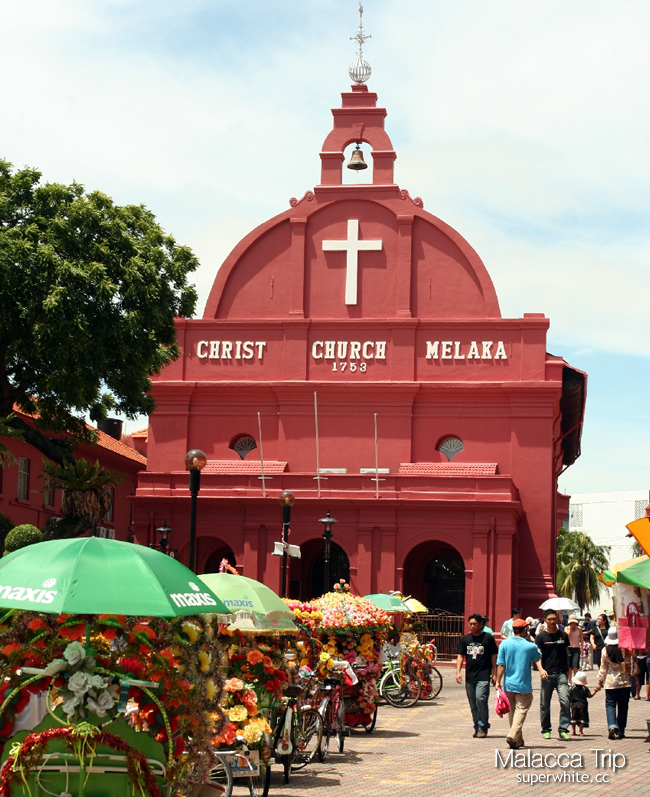 The first place we head to Dutch architecture, the Christ Church – recognized as the oldest functioning Protestant church in Malaysia. 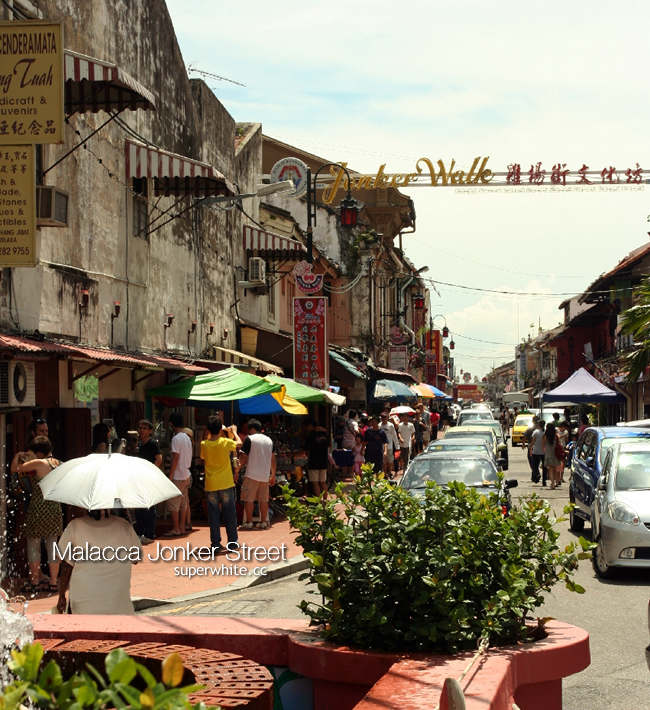 Walking at the walkway we come to Jonker Street (Jalan Hang Hebat), which is part of the old Chinatown of Melaka. Here selling various types of unique arts, antique furniture and crafts. Also can find a number of local delicacies at Jonker Street too. Really hot while walking at Jonker Street under the hot sun but not too bad still can see a lot of hot chicks. After walk till the end, we walk back and went into a shop known as Jonker Dessert which is famous of Cendol. This shop is special, not only selling food, but showcasing a number of valuable artifacts as well. Then we had lunch at the restaurant selling the famous chicken ball rice of Melaka. There’s two way of making ball rice, one of the early way is hand make and the other is make by machine. But most of them prefer hand make chicken ball rice is nicer, I think is because got hands sweaty taste. 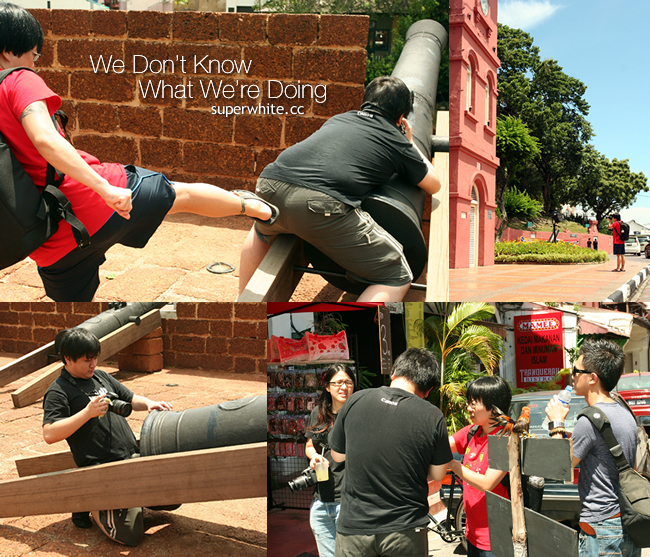 Next we head to Dataran Pahlawan walk walk see see scan scan, and take some photos at A Famosa fortress. As our aim was to eat here but the main aim is to buy the thousand layer cake (Mille Crepe). 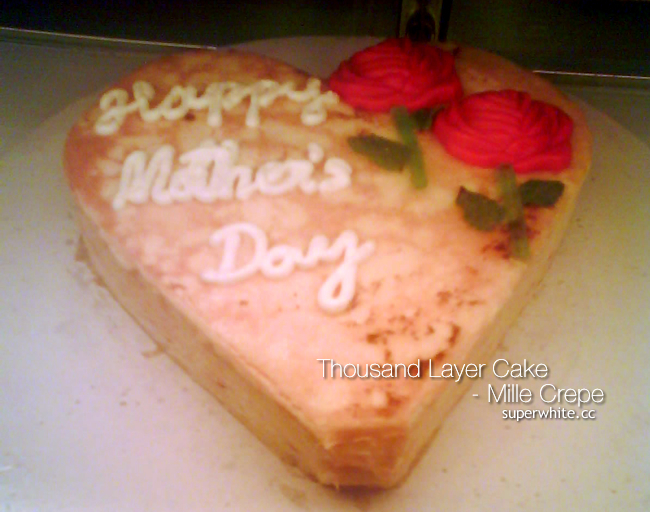 After 1 hr walking we head to Nadeje Patisserie @ Plaza Mahkota to buy Mille Crepe for mother’s day. Also appear at Food Foundry in Section 17, PJ (heard frm av). So total we bought seven, have to use ice box to keep the temperature so it take up some space and the car almost cannot fit all of us with the cakes. 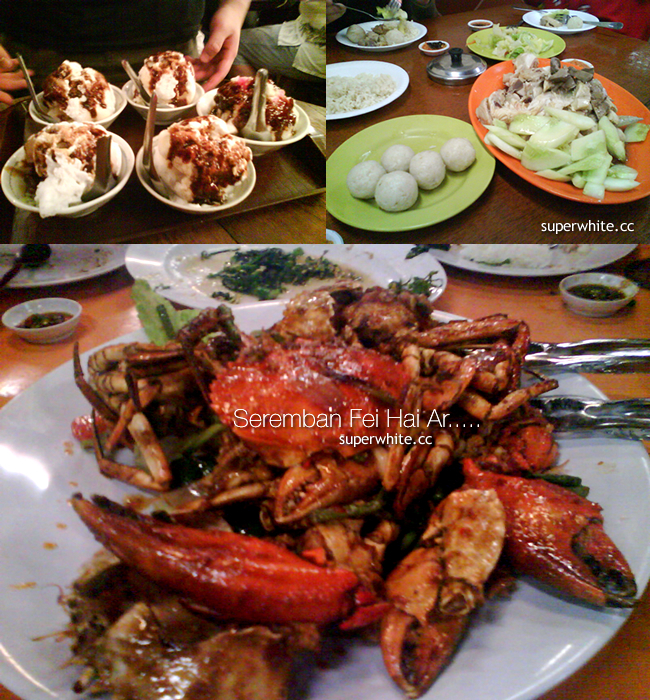 While on the way back to KL, we already plan to have dinner at Seremban, eat hai (crab). The seafood hai very nice, this is the biggest hai I ever eat especially the hands of the hai, really fei hai and is full of meat. Full, nice and cheap!!! And finally I got some of the photos from my friends, !!! Eii… why this pic is moving? This is taken with my samsung mobile phone, lucky I got take pic with the fei hai! Start from Malacca Cendol, Chicken Ball Rice and my favorite Fei Hai. reali bad!! can’t see how full, how nice, how hot and how delicious at all 🙄 let me help, next time just rent my camera, it only costs RM100/day. can’t stop laughing at the fei hai. i know you like fei hai. hahahaha….